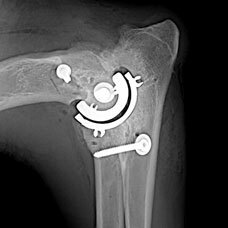 Commonly performed orthopedic procedures at Sun Valley Animal Center include Tibial Plateau Leveling Osteotomy (TPLO), Total Hip Replacement (THR), TATE Elbow Replacement ®,Total Ankle Replacement, Spine Surgery with Myelogram, Fracture Repairs, and Arthroscopic Surgery. Other frequently performed procedures include surgical treatment for Patellar Luxation, Achilles Tendon Repair, Proximal Abducting Ulnar Osteotomy (PAUL), Total Ankle Replacement (TAR), Joint Fusion, Amputation, and Osteochondrosis Dissecans (OCD) of the Shoulder. A graduate of Colorado State University College of Veterinary Medicine, Dr. Randy Acker, has been the owner and medical director of Sun Valley Animal Center since 1982. Dr. Randy Acker’s special interest is medical and surgical care for the sporting and working dog. Dr. Acker’s special interest in orthopedics has become an essential part of his practice, and his orthopedic skills have made Sun Valley Animal Center a national referral center for several orthopedic surgical procedures. 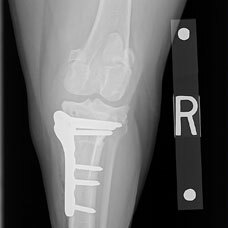 Dr. Randy Acker’s focus has been in pet surgery with a particular emphasis on canine orthopedics. By attending multiple orthopedic courses over the years, Dr. Randy Acker has obtained the skills to achieve excellence in orthopedic surgery. Courses attended by Dr. Randy Acker include Cranial Cruciate Ligament Repair through Tibial Plateau Leveling Osteotomy (TPLO), Tibial Tuberosity Adancement (TTA), and others. Dr. Randy Acker attended several Total Hip Replacement Courses (BioMedtrix THR, Kyon THR, Micro and Nano Hip Systems), bone plating, arthroscopy, external fixation, and many others. 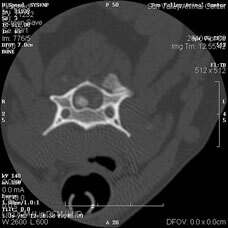 Dr. Randy Acker began performing TPLOs following Cranial Cruciate Rupture in dogs the early 1990′s, after learning the TPLO technique from Dr. Barclay Slocum who developed this procedure. Dr. Randy Acker has performed over 10,000 TPLO procedures, and has taught at the TPLO course. Dr. Randy Acker has passed his knowledge and experience on to his daughters, Dr. Amber Acker-Sanborn and Dr. Maggie Acker-Buck at Sun Valley Animal Center. Dr. Randy Acker has been an instructor eight times at the Kyon Total Hip Replacement course. The Registry of Approved Continuing Education (RACE) program of the American Association of Veterinary State Boards (AAVSB) certified Dr. Randy Acker as an instructor for Total Hip Replacement (THR) courses. 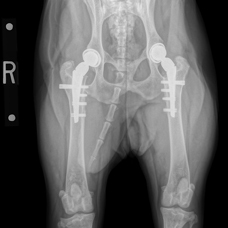 Sun Valley Animal Center is 3rd in the world for volume in the Canine Total Hip Replacement. 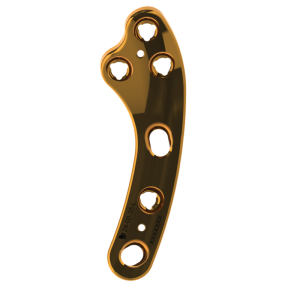 Dr. Randy Acker’s interest in orthopedics has led him to multiple orthopedic patents, invitations to lecture worldwide, and the development of the TATE Elbow, as well as TATE technology for a Total Ankle Replacement in dogs. Dr. Randy Acker has taught numerous TATE Elbow courses. The TATE Elbow was developed and named after the Acker Family’s yellow lab, Tate, who suffered from severe elbow arthritis. Dr. Randy Acker mentors and shares his skills and veterinary interests with his two daughters, Dr. Amber Acker-Sanborn and Dr. Maggie Acker-Buck who are working with him at Sun Valley Animal Center. Sun Valley Animal Center aims to treat patients like they are their own pets. Please call 208-726-7777 to schedule an appointment.